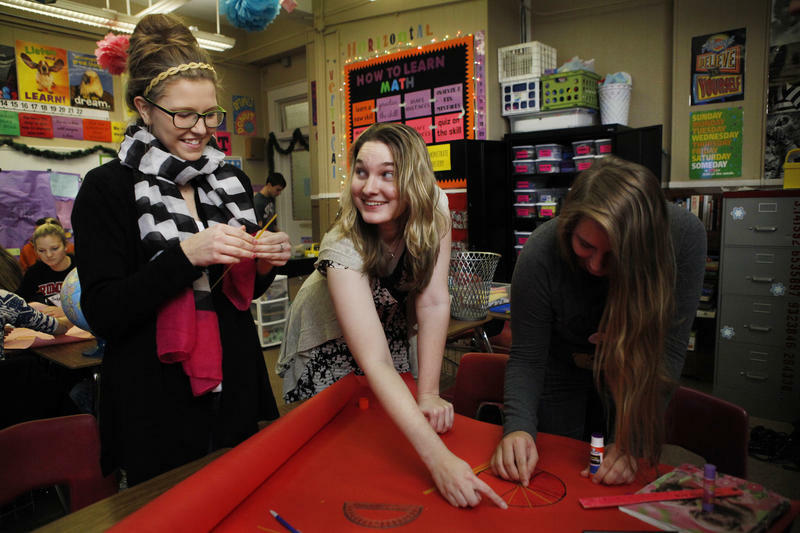 Should Oklahoma Require More Math in High School? Jimmy Hartford teaches an AP calculus class to 10 students at Cushing High School on Dec. 1. Oklahoma is one of 25 states requiring three years of math for graduation, according to the Education Commission of the States. Eighteen states require four; the others require two, have graduation requirements set by local school boards or have proficiency-based graduation. Three years of math is also the minimum for college admission to both Oklahoma State University and the University of Oklahoma. However, OU recommends four units of math and science. Plus, the university says the level of rigor in an applicant’s class selection is the second most influential factor, after grade-point average, for admission. So should Oklahoma require more? Levi Patrick, director of secondary mathematics for the state Education Department, says no. “We want to increase the number of students taking four years of math courses as a means to better prepare them for college,” he said. But, he warned, requiring four years of math could cause fewer students to take advanced coursework, and instead backtrack to a lower level math for the fourth credit. “We try to be really cautious about that and actually just encourage students to take advanced STEM courses without a mandate,” he said, referring to science, technology, engineering and math. He said that calculus isn’t for every student. He encourages students to take statistics or quantitative literacy – math courses he says are relevant to non-STEM majors. “We’re trying to create a diversity of options for everyone,” he said. The Mathematical Association of America’s position on calculus in high school also deemphasizes its importance. “Although calculus can play an important role in secondary school, the ultimate goal of the K-12 mathematics curriculum should not be to get students into and through a course in calculus by twelfth grade but to have established the mathematical foundation that will enable students to pursue whatever course of study interests them when they get to college,” it reads. Teacher Jimmy Hartford, who teaches calculus at Cushing High School, disagrees. He believes students should take calculus in high school, then take it again in college so they are better prepared when it counts. “In my AP class, we’re going to spend a whole year going through all that material. In college, all that is going to be done in one semester. And if you’ve never seen it before, it goes at a breakneck pace,” he said. 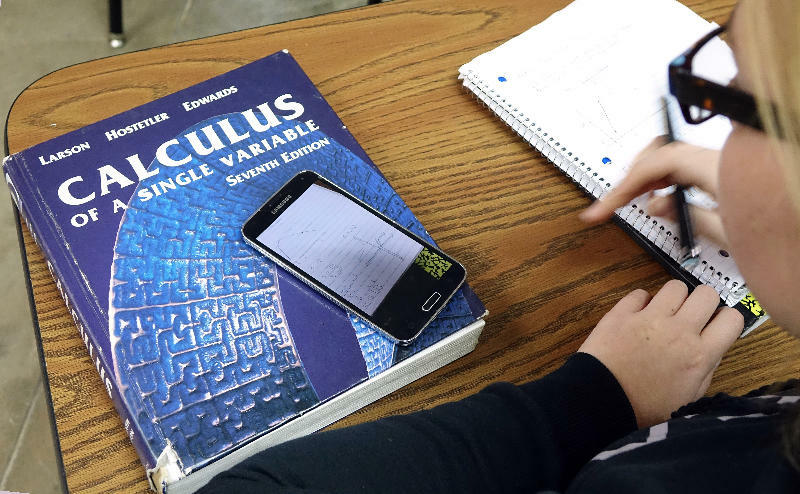 Taking pre-calculus and calculus in high school improves students’ likelihood of completing a two- or four-year degree by 10 to 20 percent, according to a 2012 report by the Center for Public Education and National School Boards Association. The report also found taking an AP or IB course in high school had a dramatic effect on students’ chance of completing more than one year of college, even when students failed the end-of-course AP test. The more of these advanced courses a student took, the higher their college “persistence” rates. Many Oklahoma students struggle with math. On the latest National Assessment for Educational Progress, released last year, 37 percent of fourth graders scored as proficient in math, relatively unchanged from 2013. The state ranked 36th. Eighth graders lost ground in math from two years earlier, dropping from 25 percent to 23 percent. The ranking remained the same, at 45th. In 2013, about four in 10 incoming freshmen at Oklahoma colleges and universities were required to take remedial classes, usually in math, before enrolling in courses in their major, according to the state Regents for Higher Education. That exceeded the national rate of 32 percent. 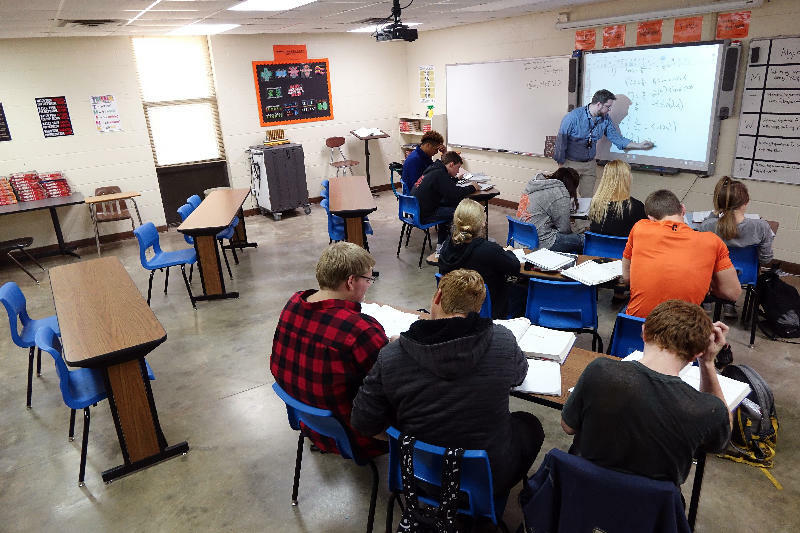 Participation in advanced-level math and science classes in high school is a strong predictor of success in college, regardless of the grade earned in the class or whether it results in college credit, studies show.